The shark knife comes standard with all SLSA approved IRB’s. The shark knife pictured has a premium quality Japanese stainless steel blade, and soft yellow handle for good grip. 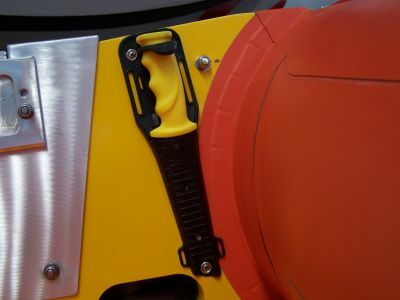 All Shark knives used in Surf Rescue IRB’s must have the tip ground off to a 6mm flat end.